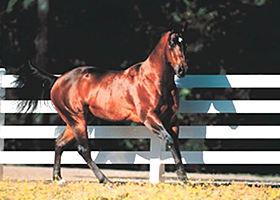 Thank you for visiting our website and for your interest in our unique product line. If you are looking for the highest quality vinyl fence and railing, factory directlow prices and the best service, you have come to the right place! We want you to have the very best experience possible! We provide 24/7 sales and support, shopping, and help planning for and installing your new vinyl fence, railing or aluminum fence project! This page is designed to provide fast answers to the most common questions regarding our products with links to additional content where available. 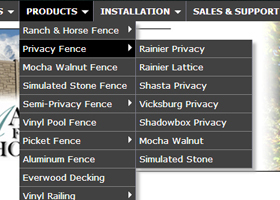 You might be surprised to know that most of our heavy duty vinyl fence and deck railing is sold directly to contractors, builders, developers, and residential home owners just like you! We are the leading supplier and manufacture of the very best vinyl fencing and deck railing products available today! All of our products are commercial grade and not to be confused with the low grade fence products you can purchase locally at your big box stores. We sell wholesale to the public and offer true, factory direct pricing to everybody. Purchase factory direct and you will save money plus you will be working with experts that care about your project! We are available 24/7 to assist! In addition to our website, our fence and railing experts will help you plan your project, answer any questions, advise on installation and generally ensure your project goes smoothly. Once you have selected a style of fence, we can provide a free quote over the phone, or if you prefer we can email you a formal written quote detailing all the materials you will need to complete your project. Once a customer has placed their order, we will manufacture the order, ship your order 100% insured to your project location, and work with you through the entire process from planning to installation to completed project! If you need help finding an installer we can help! We might have a contractor close to your location as we work with installers and contractors nationwide. 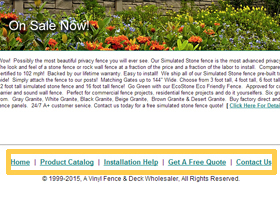 Your project is very important to us and we believe our job is not done until your fence is installed! Our website uses a standard drop-down menu system that can be accessed from any page. As you can see from the above picture, sub menus can be seen and accessed where available. In addition to the Main Menu, we also have included a button bar at the bottom of each page for quick access to the major areas of our website. 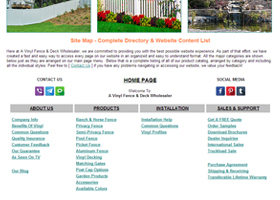 If you are the type of person that likes to see everything in one place, we have also developed a Sitemap or Table of Contents that give easy access to every page on our website. We offer complete installation technical support including downloadable documentation. If you can’t find the answers you need, we have technical support staff available to help you individually. 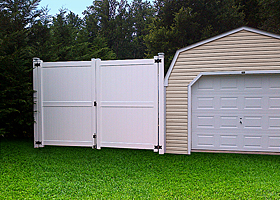 You can download our complete and comprehensive vinyl fence installation guide which covers in detail installation, gate assembly and much more. You can also download the latest version of Adobe Acrobat Reader by clicking the button to the right. 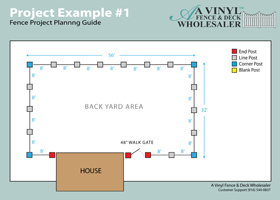 To help you plan your project and insure no details get overlooked, we have put together this Fence Planning Guide which will help you determine what’s needed to complete your project and to provide ideas and options for unique situations like elevation changes and odd sizes or layouts.